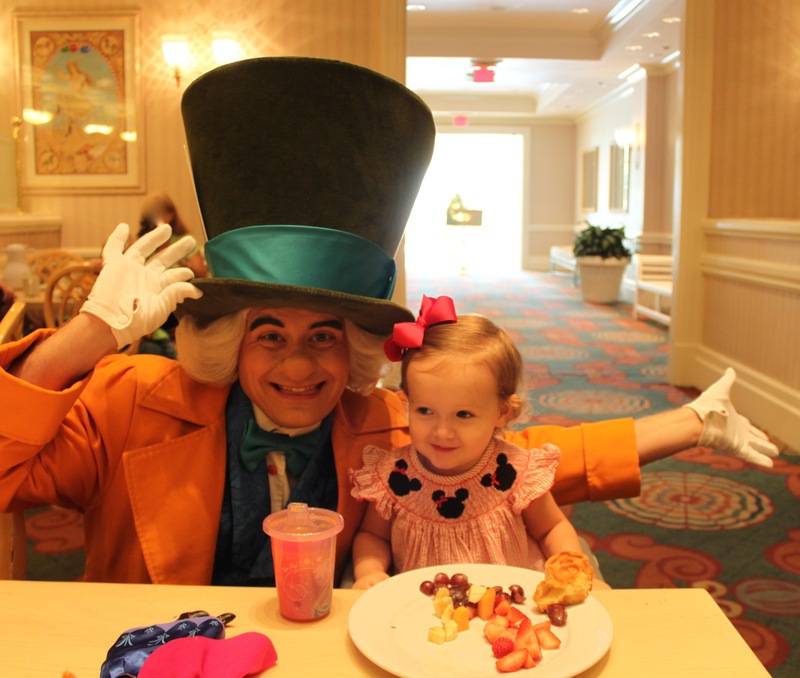 This was one of the few character meals on Disney property that I’ve not yet had the chance to do, so I was very excited to snag a last minute reservation for breakfast the night before. 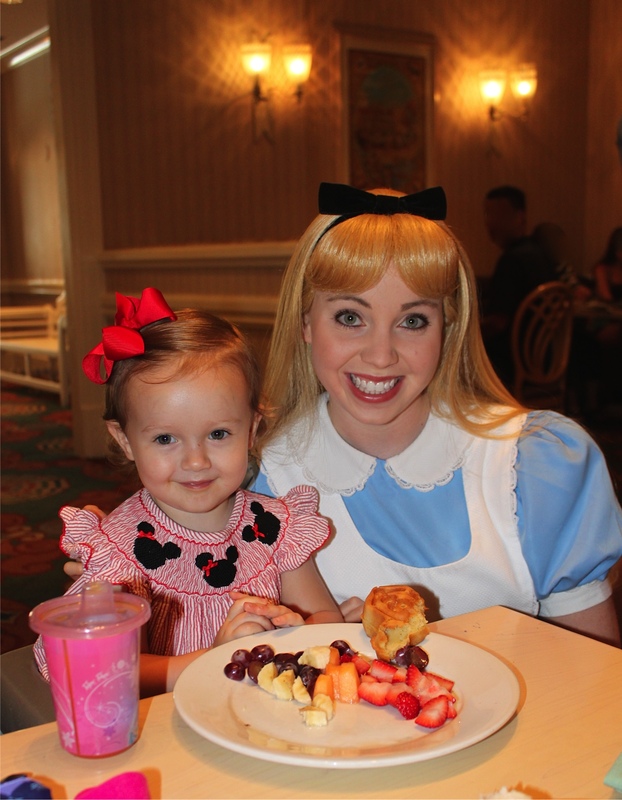 I enjoyed this meal with just my 2-year-old daughter in tow, and we both absolutely loved this experience. The food was very good, and the character experience was invaluable. 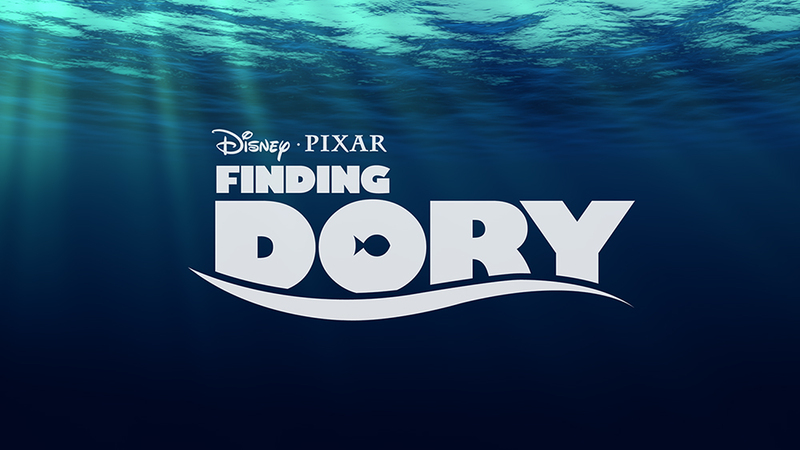 Characters that typically appear include Alice in Wonderland, The Mad Hatter, and Mary Poppins. 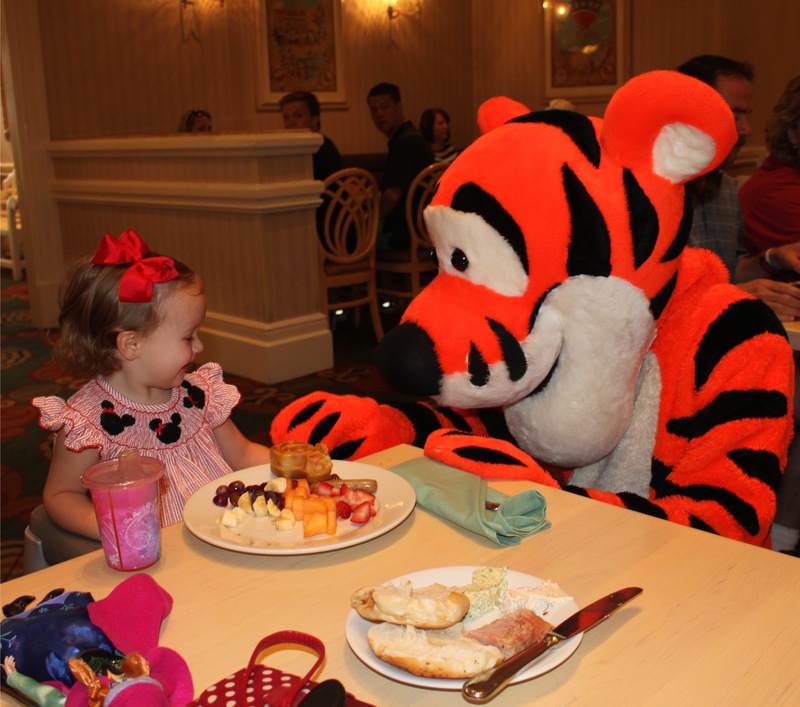 We were delighted to find Tigger & Winnie the Pooh in attendance on the morning we dined as well. Breakfast selections for the older set were extensive and included a made-to-order omelet station, hand-carved meats (hickory smoked ham on this day), croissants, bagels and delicious spreads (salmon & dill, Boursin, and plain cream cheese), highly acclaimed strawberry soup (YUM! ), fresh fruit, biscuits with gravy, sausage, and bacon. Mickey waffles were there for the kiddos as well as after-breakfast treats. Immediately upon being seated, a waitress came by offering pineapple/orange/guava juice, which I was thrilled to recognize as “POG” juice from ‘Ohana. If you’ve never had this treat, be sure to put it on your must try list for your next trip! We were quickly greeted by Tigger and Pooh in quick succession. Tigger clowned around with my daughter for a few pictures and kissed her little head…very sweet. 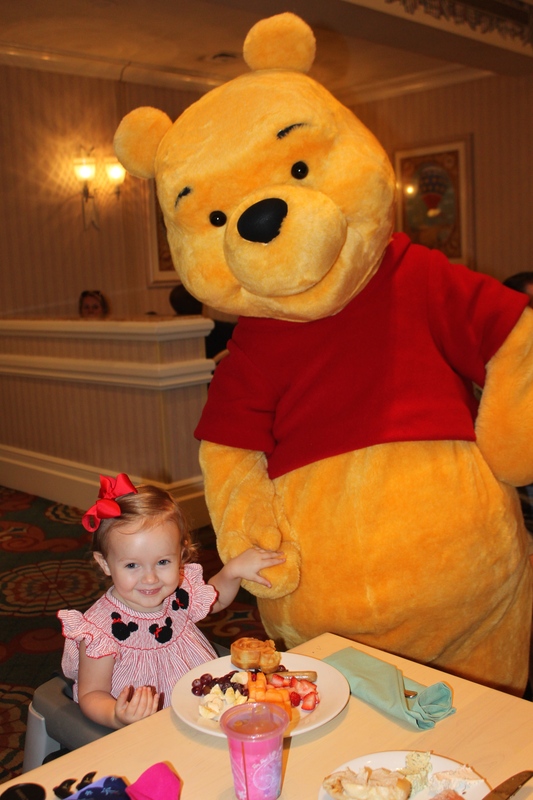 Pooh was slightly less interactive, but we still managed a couple of good shots. 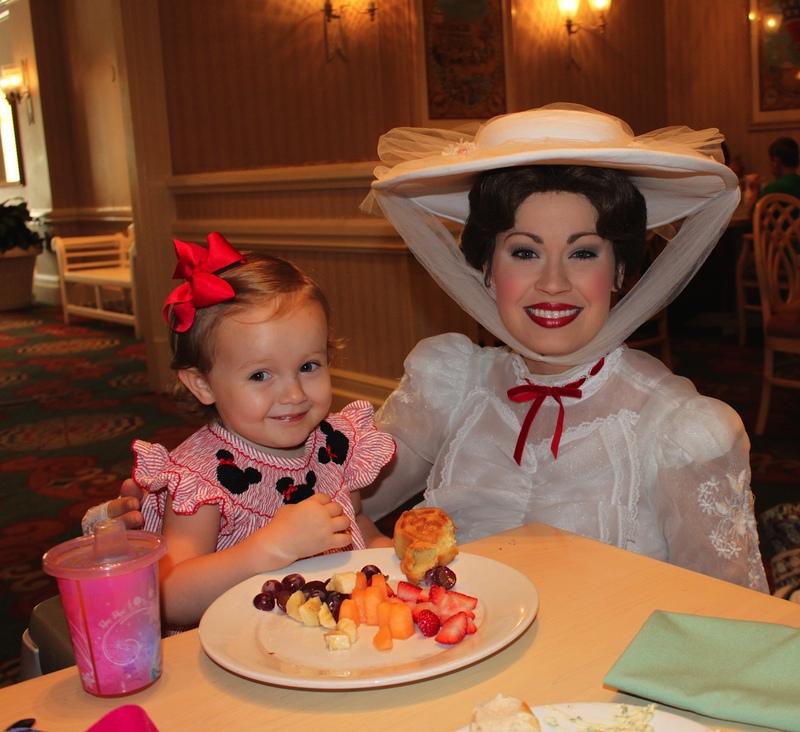 After we got our food, Mary Poppins came by and spent a good bit of time gushing over my daughter. They were both wearing red & white and MP commented on my daughter’s great taste more than once. 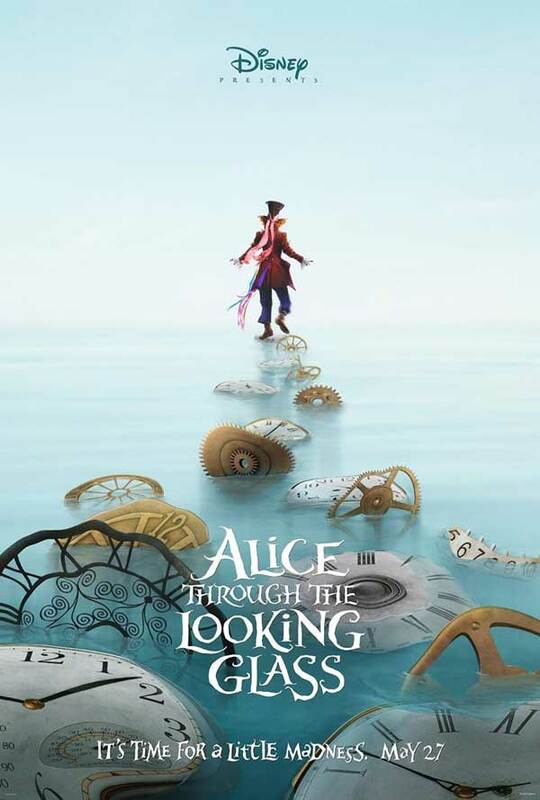 Alice was next, followed by the ever funny Mad Hatter. He took lots of time being silly and taking pictures with us. 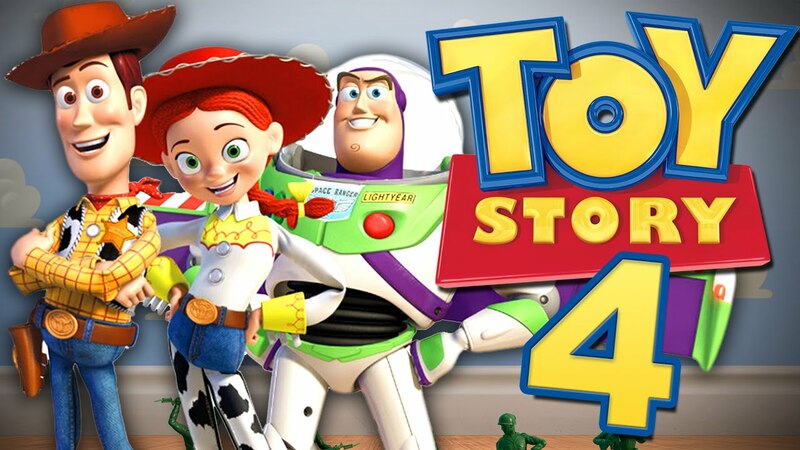 All in all, this stands out as a new favorite character dining experience for us. We will definitely return to 1900 Park Fare on our next trip to Disney!